All items can be viewed in person by appointment - please contact us to arrange a viewing. 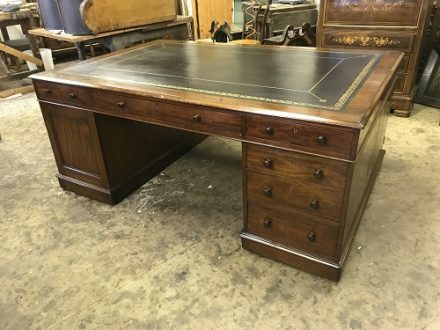 Mahogany Partners Desk with black inset tooled leather. 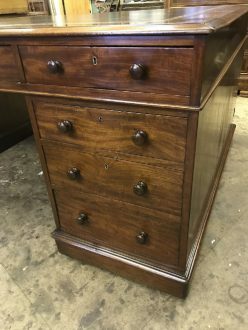 The top section comprising of three drawers either side with turned wooden handles, the pedestals have three drawers and one cupboard door on opposing sides. Plinth base with hidden casters.